Happy Friday Wyrdos! 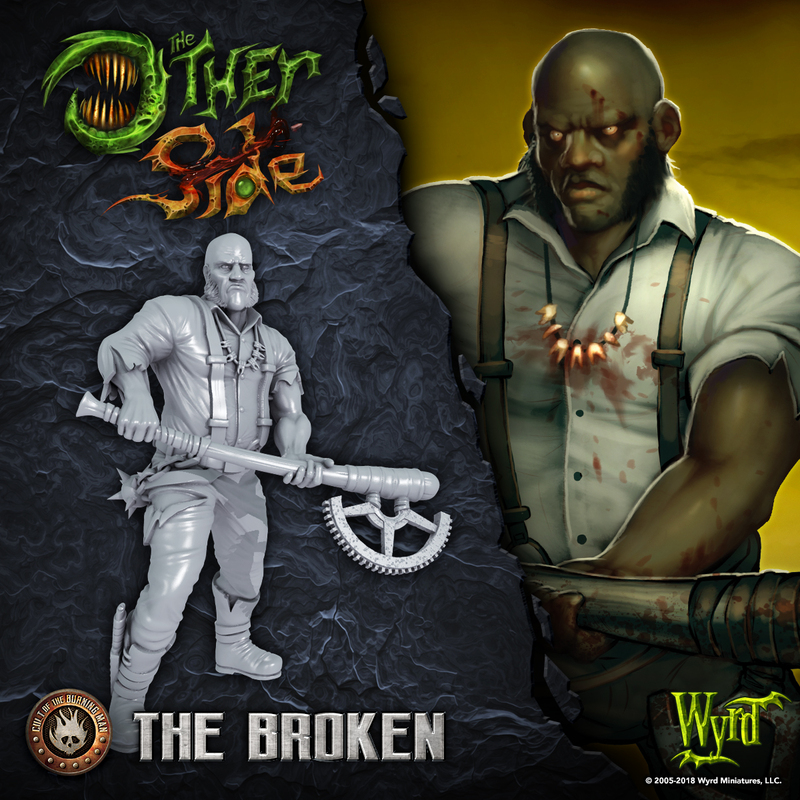 It's time for another Friday preview, and today we are looking at The Broken. This Cult Unit is sure to live up to their name leaving your opponent's units broken and scattered! Almost every member of the Cult of the Burning Man began their twisted worship as one of the Broken. People who had experienced significant trauma in their lives were particularly receptive to the call of the Burning Man, and their first act is often one of intense violence against their loved ones. The Broken tend to gather in large groups, rambling their madness to one another and gathering up whatever impromptu weapons they can find. Over time, chaos and violence thin out their numbers, some progressing deeper into the Cult while others are killed. Fortunately, there is never any shortage of madmen to replenish their ranks. On the table, the Broken can absorb a lot of damage. Their five-model Fireteams are very durable, and they have the ability to generate their own Reinforcement Tokens. Their various means of discarding cards also assists them in handing out Shaken Tokens to friendly or enemy units via the Cult’s Allegiance card. After ECB Black Ops these are my favourite sculpts for the Cult....how many more times will I have to type " can't wait !!" ? I'm really worried about game balance with these guys. They just seem too... broken. Bet he loves his weekends so he can go club thumping.